Happy Friday friends!! This week was treat because of the midweek day off - we had the Jewish holiday of Yom Kippur (Yom Kipps for anyone that watches Odd Mom Out - I linked to the hilarious episode) and I spent the day with my sister, nieces and nephew. The service we attended was for kids, but the underlying principles for what the Rabbi said, everyone could take with them regardless of age! It's been a while since I shared some of the recent products / things I've been loving - so here's a run down! I have not been a fan of Glam Glow masks in the past! The ones I've tried were very harsh on my skin and the tingling sensation was more painful than anything else so I sort of gave up on the brand. After getting a gift of the Glam Glow ThirtyMud I decided to give it one more chance! Probably one of my favorite masks I've put on my skin to date! It's incredibly hydrating, smells amazing & doesn't give you any discomfort! There is no skin tightening, you don't see every single pore on your face, but after 10 minutes you remove the gel like mask and your skin is so fresh and clean! It's as if you just got a hydro facial! 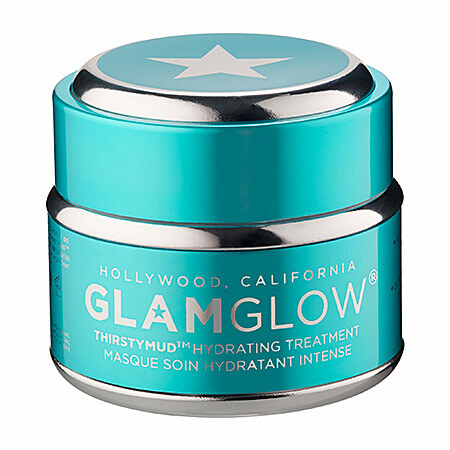 The smaller travel size is $22, but a little goes a long way and after just a few uses I can honestly say that this Glam Glow mask is worth the money! If you are not a fan of using heat on your hair then this product is for you! The cream tames your fly-aways, gives you volume and gives your natural hair style a little bit more oomph! I guess you could think of this as a leave in conditioner, but not as heavy. Even without traditional styling (so just using a hair brush after I towel my hair felt incredibly soft and put together after using the cream! 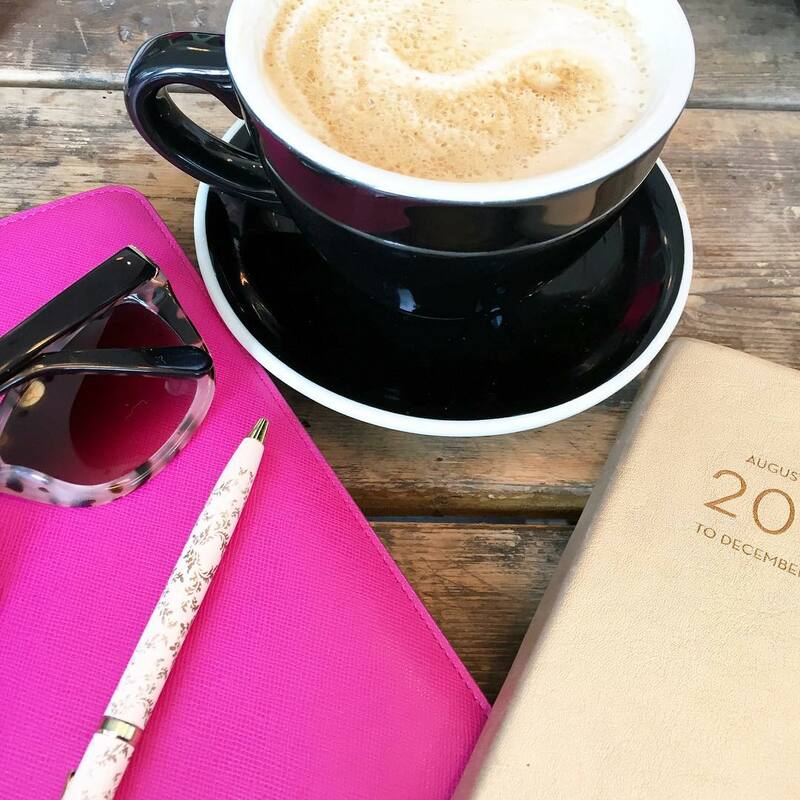 If you're looking to save a little time in your morning routine then I really do suggest giving this a try! I like high end perfumes as much as the next girl, but paying $60+ for a bottle isn't really my jam, but I know that I can carry a rollerball with me wherever I go, so I opt for that with designer fragrances! After finally finishing my FlowerBomb roller ball I had used up 3 samples of the Si perfume so I knew I liked it and decided to get the rollerball version! I can't tell you how often co-workers / friends come up and ask me what perfume I'm wearing because it smells so good...at least that's what they tell me, hopefully they aren't thinking I'm wearing too much of it! I charge my phone and apple watch on my night stand and for about a month anytime I would take one off the charger the cable would fall and loudly thump on the floor. Not only would this immediately wake Gary, but I felt like they were always either on the floor or not organized. I didn't know these little cable clips existed, so one day I came home and my cables were neatly organized I realized Gary took it into his own hands to make sure I didn't wake him abruptly again! I heard Alan Walker's "Faded" randomly when we were cooking one night...I stopped so fast and just listened! It's SOOOO good! It's a little dancey/trancey but the girl who is singing has such an angelic voice you can't help but do a little bop to it and then replay like 6 times in a row! How's that for a little hodge podge of things I'm currently loving?! Hope you have a great weekend! See you back here Monday for a little weekending and the first one in 3 weeks that wont be a wedding weekend! Okay I need those cable clips! I wake my husband up every morning with my cable dropping on the floor. Happy Friday! Have a great weekend! That mask sounds like a winner! Definitely going to look into that! How sweet that Gary fixed your problem so easily- and what a clever solution! Enjoy your weekend girl!! I love the idea of using a rollerball for your perfume! I'm with you....I'm all about higher end perfumes but I would much rather spend that money on clothes haha! Have a great weekend! The lil Rollerballs are so perfect for your purse and travel and gimme B&B products any day; I have never had one I did not like. Happiest of Weekends to ya love!! You always hVe the best recos!! That mask and the b&b product! I love Si! It's one of my favorites and every time I get it in as a sample I get so excited! I actually wore it last night to an event! Have a great weekend Biana! Oh I need to check out that B&B product! Fly-aways drive me absolutely insane and so good to know that it's not heavy! 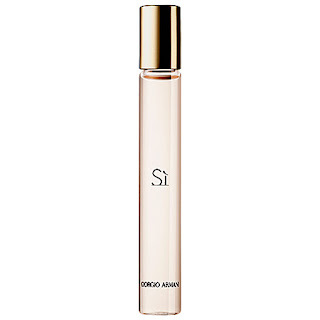 I just smelled Si the other week when I was looking for a new perfume and it smells so good! And a rollerball makes it so easy. Have a great weekend, Biana! I love Glam Glow thirsty mud so much! it is literally one of my fav products ever! And I need to go try out the B&B products I hear so many good things! Happy weekend! I almost bought those clips on several occasions! I don't know why I always back out lol they seem so handy! Oh my gosh, I need those cable clips! I hate having my chargers fall behind my headboard or desk and then have to go hunting to find them. So smart!! 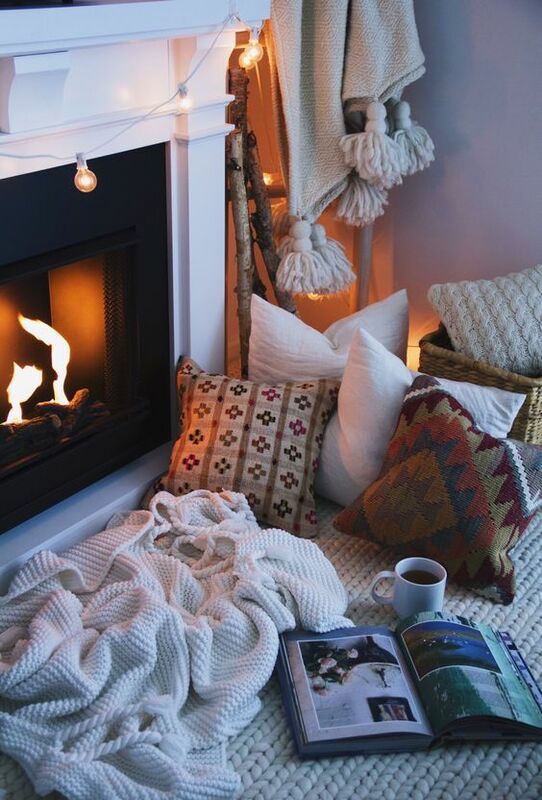 That first picture is basically everything I want to be doing right now--just cozy and reading! Bumble & Bumble products are seriously my FAVORITE--I'll have to check out this one! Happy Friday! Those cable clips are awesome!! They would make a perfect stocking stuffer! So many great things in the post! I need to try that mask and the Bumble & Bumble asap! Have a wonderful weekend! Such a cozy picture! Glad you had a great week, and I need to try that hair product! haha yom kipps - i love odd mom out. such a great show :) and that mask sounds nice - i have sensitive skin and can't do harsh stuff so that one sounds like one i should try! give me all the moisture! those cord holders are awesome - i totally need one! happy weekend girly!! those cable clips are so smart! and i definitely need to try that don't blow it cream. my hair is awful without styling, but sometimes i just can't be bothered/don't want to use heat. have a fabulous weekend! I need those cable clips in my life! Leave it to Mr. Tech to get you all squared away!! And so glad you got to spend Yom Kipps with Yana and the kiddos!! Have a FABULOUS weekend!! That hair stuff and face mask sounds so nice! I like GlamGlow's eye mask too. It really helps depuff and refresh tired eyes! Have a great weekend girl! I NEED some of those cable clips...genius! I have the Bumble & Bumble Don't Blow It but it doesn't give me any volume whatsoever, my hair is so ugh! LOL! I hope you have a great weekend! G'mar Fatima Tova, beautiful, and I wish you a very Happy New Year, may it be filled with great health, love, peace, and prosperity! As for these products you've shared, some I've heard of (more about the brand than the actual products) and some I'm not familiar with. It seems that Glam & Glow tends to have that effect on a lot of people because a lot of beauty gurus mention how they've hated it and then rediscovered it and loved it, it's so weird! Anyway, that mask sounds great and so does that Bumble & Bumble product, I'll have to check it out because my natural curls are always all over the place, haha. 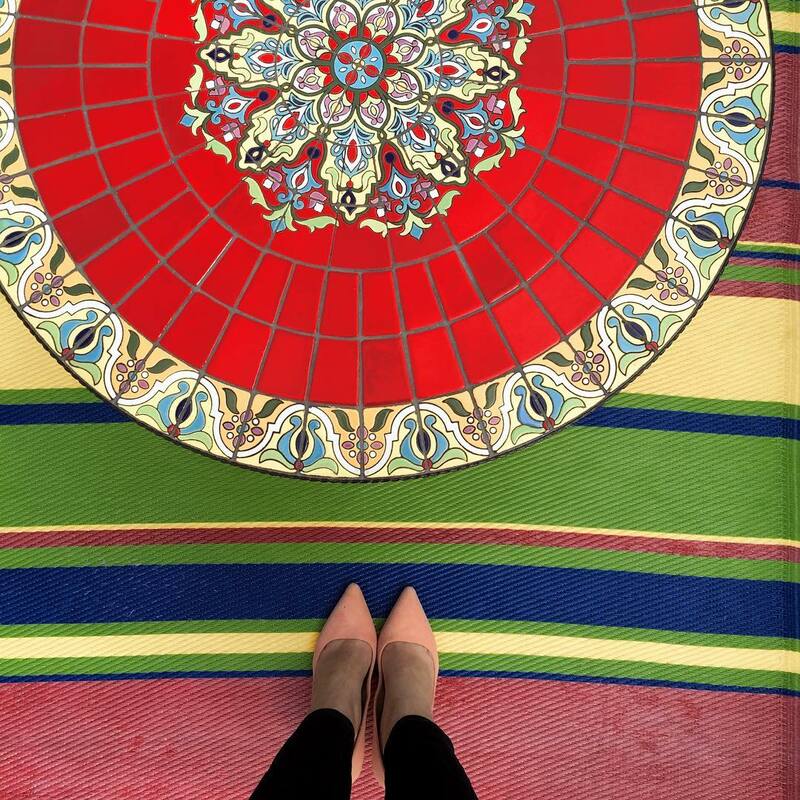 Thanks so much for sharing, beauty, and I hope you have a wonderful weekend ahead! While I love the look of a pretty perfume bottle, I agree with you! Like I'm sorry but I'm not paying $$$$ for a bottle of perfume haha. Those rollerballs are great. Those cords are cool and that hair cream sounds nice. I always get flyaways after I blow dry my hair. Happy New Year to you and your family, and have a wonderful weekend!!! I love that glam glow mask! It does work so well. I usually sleep with it on. I wake up with nice dewey skin. Oh I love that bumble and bumble stuff. In fact, I used it last night. haha Have a wonderful weekend. Those little cable clips are so cute! 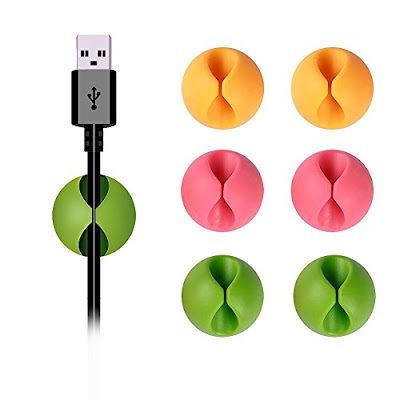 We have ugly little command hooks so that our chargers don't fall, but these are way better. I hope you have a great weekend! I want to try that Bumble & Bumble hair product BIG TIME!!!! Anything for better hair. I need so many of those clip clamps!!! ALL THE CORDS!!! I really just want to lay down on that floor in front of that fireplace with a glass of wine! Ha! haha I love that Gary took care of your cables for you. Chris has one for his watch but I think having them for your phones is smart! I have heard great things about that specific glam glow mask so I plan to try it after baby! Hope you have a great weekend! 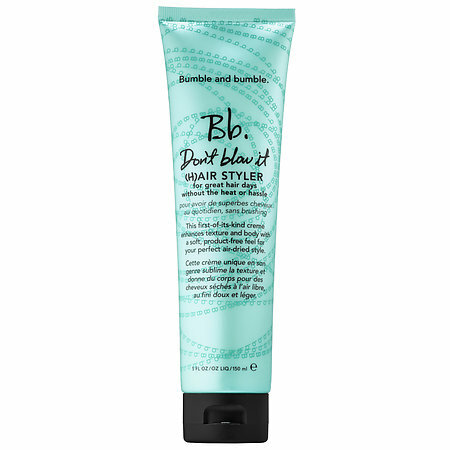 I've heard that Bumble & Bumble-Don't Blow It is amazing but I haven't tried it yet. I think I need to get it! I've heard great things about Bumble & Bumble's products!! Those cable cips are super handy! Ooh those cable clips are so handy! I did something similar with a command hook for the back of my computer desk for my laptop, but these look awesome too. Have an awesome weekend! I hope you enjoyed your time off! And girl, I will be getting some of those clips!! My phone is constantly falling off of my nightstand and our bed is so high off the ground that I can't just be lazy and reach down to get it. I actually have to get out from under the covers and get out of bed and it's such a pain once you've gotten cozy. I am all over these! Glad you enjoyed a mid-week day off with family to celebrate. 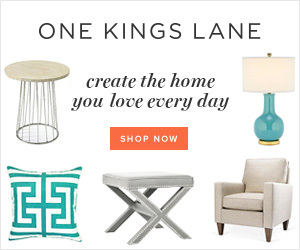 I need to check out some of those products! Haven't tried any of them. How smart that cable is! Love that song and cheers to a weekend that is all about you! My hairdresser gave me a same of that B&B stuff at my last appointment, and I love it, too! Definitely nice for those no-heat days. I just received the Influenster box with the Si perfume in it, and it's my new favorite! Such a great scent for this time of year. Have a wonderful weekend! Ok I need to try out that mask...at least for the travel size because the regular price is just way too steep. I've tried their other masks and same as you thought they were just too painful, luckily I just got the travel sizes for those too. I looove cable clips, such lifesavers...which reminds me I need to have a few at work for my desk! Happy Friday! Those cable clips are genius! I definitely need a few of those in my life hah! Happy weekend! Ooh I need to try that Bumble & Bumble. I love letting my hair dry naturally (in a bun) but it just gets to frizzy without some heated help. Hope you had an enjoyable Yom Kippur, sounded like a great midday holiday with the fam :) Oh I need to try that Glam Glow- sounds amazing! And those cable clips are genius! Just watched your snaps of sushi and now I'm hungry ;) Have an amazing weekend! I need to try Don't Blow it, I rarely get around to blow drying my hair lately! Cable clips are such a good idea! That glam glow sounds amazing, I need to try it! LOL-You had me at Cable clips-love to keep things tidy too! Those cable clips are so smart! My cord always falls to the floor. That first photo makes me feel all warm and cozy and in need of a fire, haha! Those clips are genius. I just need a nightstand for my side now!! Glad the mask is working out so well!! That's a happy surprise! I love that glamglow mask too- my skin got super oily over the summer so I didn't reach for it as much, but I'm sure I'm going to be reaching for it again as soon as it cools off. I've seen DIY hacks for the cables clips, but could never get them to work so I'm going to check those out-- can definitely relate the the annoyance you mention of the cables being a mess.